Naming new patterns is one of my favorite parts of being a designer. No, really! I usually test them out on the Hubband to see if he giggles. If he does - it's a winner. And today's new beanie design is no different. He may not have giggled so much as groaned and rolled his eyes a bit but that's enough for me! A quick Pop Up shop project was requested at my LYS (Nitro Knitters) to feature these new super bright pom poms from Bernat. I tried 2 different hat designs before landing on this fir-cone inspired beanie... so Fir Times the Charm... get it? This hat is worked in the round from the brim up beginning with the smaller needle for the Brim, changing to the larger needle for the Body of the hat. Written instructions are provided for the entirety of the hat. Charted instructions are provided for the Fir Cone lace section. When the circumference of the hat becomes too small for the circular needle during the Crown Shaping, change to DPNs to finish the hat. 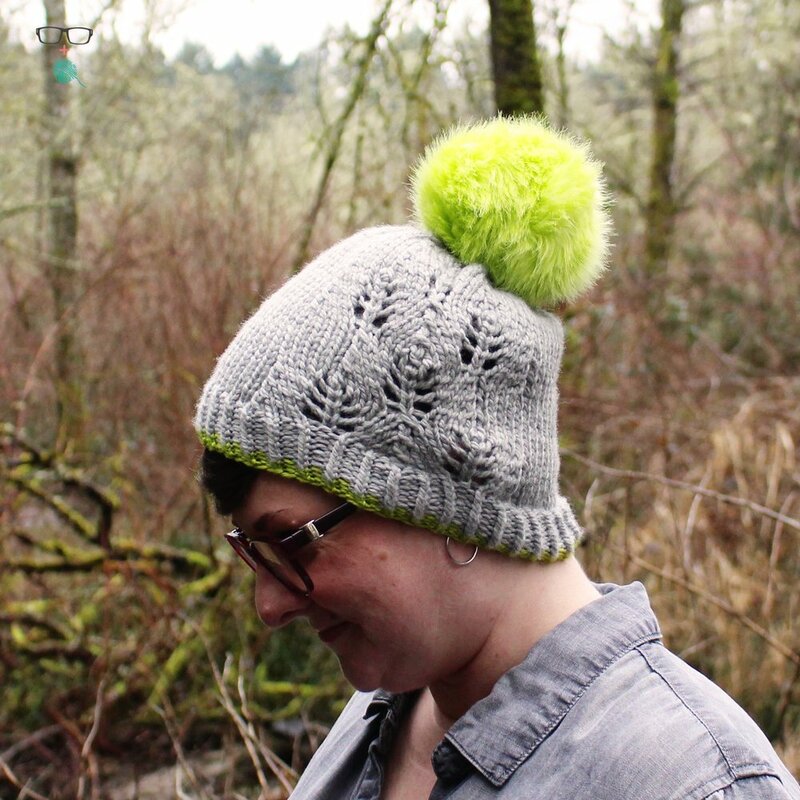 There's only 16 knitting days left until St. Patty's Day - seems like a perfect excuse to knit up a new drinking hat, complete with a bright green pom pom! Go get the pattern on Ravelry and get knitting!